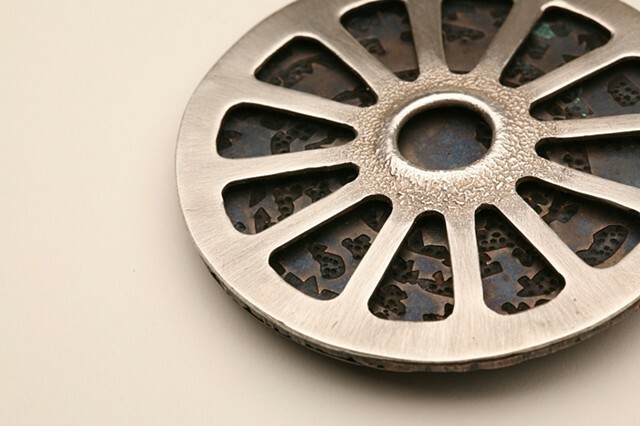 This brooch takes its likeness from a diatom, a unicellular form of algae. The top layer is pierced sterling silver with a reticulated central opening. The sublayer is etched, stamped and oxidized copper. This one of a kind piece is not for sale. If you are interested in a custom piece inspired by this brooch, please contact me at sara@saraowens.net.